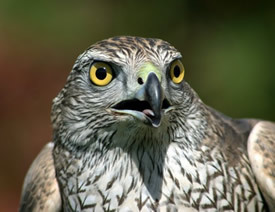 Falconry can be defined as the taking of wild quarry in its natural state and habitat by means of a trained raptor. This ancient art is a very demanding endeavor requiring dedication, time, money, and energy by the falconer. The practice of falconry is not to be taken lightly. Falconry is the most highly regulated hunting sport in our country today. All raptors are protected by state, federal, and international law, thus all potential falconers must obtain the necessary permits from their state before obtaining a bird of prey or engaging in falconry. If you would like more information about falconry and how to pursue the sport please click on the “Getting Started” link on the left side of this page. The IFA offers both voting and associate (non-voting) memberships. Other than voting status, there is no difference between the voting and associate memberships with regard to benefits or price breakdown. 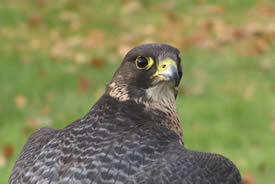 Voting memberships are limited to holders of a current Idaho falconry permit. Associate memberships are available to everyone else (falconers licensed in another state, people who aren’t licensed falconers, etc.). Current renewal and new membership prices are $20.00 for one year, $32.00 for two years and $45.00 for three years. All membership years end on Dec. 31 regardless of when you actually join or renew. New memberships are subject to final approval by the IFA President and/or Directors. For your convenience there are two ways to pay your membership dues. Please include your name in the note line and make the amount appropriate to the number of years you wish to renew. Please feel free to contact the IFA Treasurer or anyone in the IFA leadership if you have any questions, comments or concerns. We would appreciate hearing from you! © 2014. Idaho Falconers Association. All Rights Reserved.